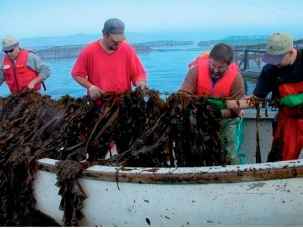 Figure 4 Harvesting of kelps (Saccharina latissima) cultivated in proximity to Atlantic salmon (Salmo salar) cages at an IMTA site in the Bay of Fundy, Canada. Photo by M. Sawhney. Figure 5 Blue mussel (Mytilus edulis) raft and a mussel sock grown next to Atlantic salmon (Salmo salar) cages at an IMTA site in the Bay of Fundy, Canada. Photo by S. Robinson. partners (Cooke Aquaculture Inc., Acadian Seaplants Limited, the Canadian Food Inspection Agency, and the New Brunswick Innovation Foundation). Because AquaNet was funded by three Canadian federal granting agencies - the Natural Sciences and Engineering Research Council of Canada (NSERC), the Canadian Institutes of Health Research (CIHR), and the Social Sciences and Humanities Research Council of Canada (SSHRC) - and Industry Canada, it was the ideal programme for addres sing the key interdisciplinary aspects of the IMTA concept: environmental sustainability, economically viable diversi fication, food safety/security, and social acceptability (Figure 6). This project, which has five modules (seaweeds, mussels, food safety/health indicators, environment, and socioeconomics), is on the verge of demonstrating the biological and economic validity of the IMTA concept. 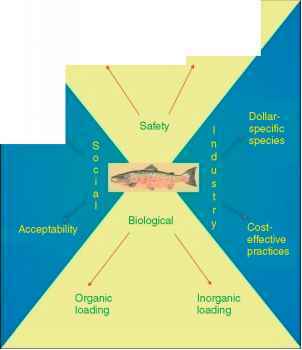 Figure 6 The different interdisciplinary aspects covered by the IMTA project in the Bay of Fundy, Canada: environmental sustainability (through nutrient organic and inorganic loading), economically viable diversification (through the choice of commercial second crops and cost-effective practices), food safety security (through the study of exogenous and endogenous sources), and social aspects (adapting regulations and policies for the development of acceptable practices). Figure 7 Development of the IMTA project in the Bay of Fundy, Canada, in three phases (see text for explanation of the different phases). (intermediate exposed sites worked the best in terms of biomitigation potential and growth of the additional crops). Kelp culture techniques have been improved. The labora tory phase of the growth of the microscopic stages of kelps has been reduced from 113 to between 30 and 40 days. Shortening and refining the required laboratory phase is key for the development of commercial cultivation (sub stantial operational savings, earlier transfer to sea for higher biomass production, and potential production of multiple crops for increased nutrient removal capacity of the IMTA system). The kelp biomass production at the grow out sites has been increased from 8.01 to 20.7 kgm 1 of rope. The onsite cultivation system has evolved from a system of monolines at different depths deployed between the compensator buoys of the salmon cages to parallel double and triple line systems, and presently a system of raft units, which can be placed near, but independently of the salmon grid structure, according to the nutrient plume and hydrodynamic conditions identified for each site. The juvenile mussels required for growing purposes in IMTA operations were found to be readily available from wild mussels fouling the salmon nets. These were simply col lected during net changes and put into growing socks (mesh tubes). The cultured mussels opportunistically took advantage of the increased levels of particulate organic matter at salmon sites during periods of feeding, using particles in the 2-100 mm range, particularly in the fall early winter season when natural food levels decreased in the natural environment. Due to the increased energy available to the mussels, their growth rates and reproduc tive rates increased and some of their biochemical constituents (glycogen, omega 3 fatty acids) were signifi cantly elevated, resulting in a very high quality aquaculture product. 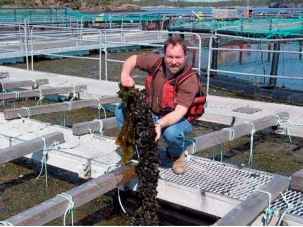 Increased growth rates of kelps (46%) and mussels (50%) cultured in proximity to fish farms, compared to reference sites 1250 and 200 m away, respectively, reflect the increase in food availability and energy. In fact, in the hydrodynamically complex system of the Bay of Fundy, it appears that to take full advantage of the additional organic particulate matter available mussel rafts need to be very close to the salmon cages (within 50 m), whereas seaweed rafts do not need to be in immedi ate proximity to salmon cages as long as they are within the inorganic nutrient plumes (within a few hundred meters). Phase 2 of the project, which is investigating the lin kages between the different species, is underway. Nutrient, biomass, and oxygen levels are being monitored to model the biomitigation potential of an IMTA site. Over 6 years, none of the therapeutants used in salmon aquaculture have been detected in kelps or mussels collected from the IMTA sites; levels of heavy metals, arsenic, PCBs, and pesticides have always been below the regulatory limits prescribed by the Canadian Food Inspection Agency, the USA Food and Drug Administration, and the European Community Directives. A taste test of market size mussels between salmon farm versus reference site samples showed no dis cernable difference. Monitoring of phycotoxins (domoic acid (DA) produced by Pseudo nitzschia pseudodelicatissima and paralytic shellfish poisoning (PSP) toxins produced by Alexandrium fundyense) over 6 years has revealed the absence of DA in mussel and kelp tissues. Levels of PSP toxins in mussel tissues follow the seasonal patterns of A fundyense abundance with peaks lagging by 3-8 days. Mytilus edulis also has the capacity to readily depurate PSP toxins over time. Levels of PSP toxins in mussels can exceed regulatory limits in late spring and summer, but with appropriate management and monitoring regimes similar to those in other shellfish production regions in other parts of the world, the harvesting of mussels for human consumption could take place safely during the other times of the year. These encouraging results regard ing the food safety of organisms cultivated under IMTA conditions are presently being used to help define the appropriate regulatory and policy framework for the com mercial development of IMTA in Canada. Phase 2 was also a period for testing the social accept ability of the IMTA concept and initiating its economic modeling. A survey of aquaculture attitudes found that the general public is more negative toward current mono culture practices and feels positive that IMTA would be a better path to follow for marine food production. A focus group social study revealed that most participants felt that IMTA has the potential to reduce the environmental impacts of salmon farming (65%), benefit community economies and employment opportunities (93%), and improve the industry competitiveness (95%) and sustain ability (73%). All felt that seafood produced in IMTA systems would be safe to eat and 50% were willing to pay 10% more for these products if labeled as such, which opens the door to developing markets for premium products, either environmentally labeled or organically certified. Preliminary data of a bioeconomic model, in which net present value calculations are conducted over 10 years to portray long term variability, show that the addition of seaweeds and mussels to existing salmon farm ing is more profitable and helps reduce economic risks through diversification. A preliminary economic scenario for the Bay of Fundy shows that farming these three types of organisms in an IMTA setting would provide CDN$44.6 millions in extra revenues and 207 new jobs in a sector presently worth CDN$223 millions and already employing 1683 people directly and 1322 indir ectly. Including the value of the bioremediative benefits would make the case even more convincing. While the revenues generated from IMTA operations mentioned above are gross revenues, it is important to note that the additional expenses associated with these operations are incremental. Much of the capital infrastructure (boats, barges, storage facilities, transportation, etc.) 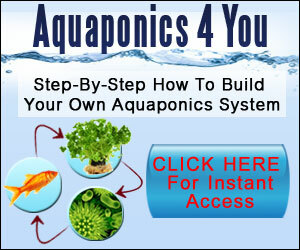 is already in place with the existing aquaculture operations as is some of the labor. Therefore, the cost to produce an additional crop is often much less than that required to produce it in a monoculture operation. Site selection for the best compromise between site characteristics, species selection, and market demands will be key to optimizing IMTA systems. In phase 3, further scaling up of cultivation systems (rafts), species diversifica tion, economic analysis, and development of niche markets will be implemented. Scaling up to commercial level will allow investigation into the impacts of IMTA on the carry ing capacity of the coastal environment, water and benthos quality, potential for disease transfer, and animal and plant health. The present IMTA system has three components (salmon, kelps, and mussels), but this is admittedly an initial simplified system; there is room for a more advanced sys tem with several other components by growing sea cucumbers, polychaetes, sea urchins, etc. These organisms can have different functions, or similar functions but in a different size bracket of particles, for example.